An antidepressant, as the name implies, is a type of drug primarily used for the treatment of depression. Depression is a common disorder that affects the chemistry and function of your brain. Antidepressants can help correct the dysfunction by altering the circuits and chemicals that pass signals along nerve routes to the brain. 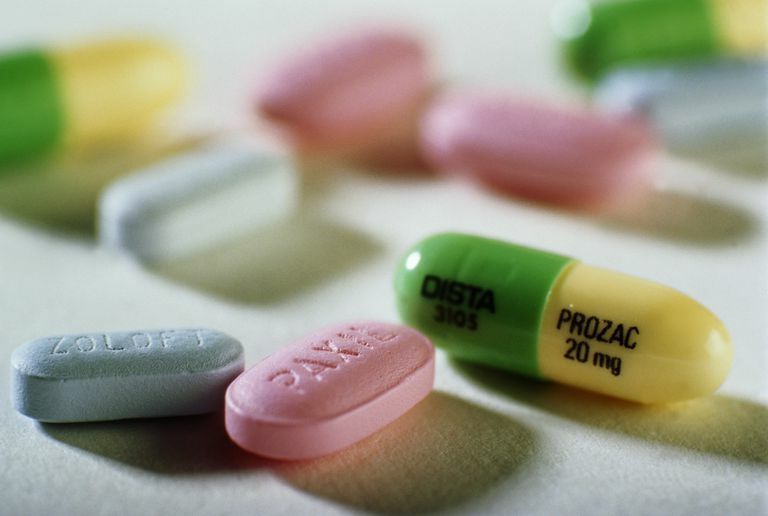 Antidepressants are grouped into classes based on how they affect the chemistry of the brain. While the antidepressants in a class will tend to have similar side effects and mechanisms of action, there are differences in their molecular structures which can influence how well the drug is absorbed, disseminated, or tolerated in different people. There are five major classes of antidepressant and several others that are less commonly used. Each has its own benefits, risks, and appropriate uses. While some may be considered preferred options, the drug selection can vary based on your symptoms, history of treatment, and co-existing psychological disorders. In people with depression, the availability of these neurotransmitters in the brain is characteristically low. Antidepressants work by increasing the availability of one or several of these neurotransmitters in different, distinctive ways. Of the five major classes of antidepressants, selective serotonin reuptake inhibitors (SSRIs) and serotonin and norepinephrine reuptake inhibitors (SNRIs) are the most commonly prescribed, particularly in first-line treatment. Other antidepressants may be used if these drugs fail or in cases of intractable depression (also known as treatment-resistant depression). There are a number of antidepressants that work by preventing the reabsorption (reuptake) of neurotransmitters into the body. Collectively known as reuptake inhibitors, they prevent the reuptake of one or more neurotransmitters so that more are available and active in the brain. Selective serotonin reuptake inhibitors (SSRIs) work by specifically inhibiting the reuptake of serotonin. SSRIs are a newer class of antidepressants first developed during the 1970s. SSRIs tend to have fewer side effects than older antidepressants but are still known to nausea, insomnia, nervousness, tremors, and sexual dysfunction. In addition to treating depressions, SSRIs are also sometimes used to treat obsessive-compulsive disorder (OCD), generalized anxiety disorder (GAD), eating disorders, and premature ejaculations. They have also proved helpful during stroke recovery. Serotonin and norepinephrine reuptake inhibitors (SNRIs) work in a similar way to SSRIs except that they inhibit the reuptake of both norepinephrine and serotonin. The first SNRI was FDA-approved in December 1993. Increasing norepinephrine levels in tandem to serotonin levels can be particularly useful or people with psychomotor retardation (the slowing of physical movement and thought). Common side effects of SNRIs include nausea, drowsiness, fatigue, constipation, and dry mouth. Some SNRIs, like Cymbalta, can also be used to treat chronic pain, a condition closely linked to the development of depression. They have also proven useful in treating generalized anxiety, post-traumatic stress disorder (PTSD), social anxiety disorder (SAD), panic disorder, and nerve pain associated with fibromyalgia. Tricyclic antidepressants (TCAs) are an older class of drug first discovered in the 1950s. They were named after their chemical structure, which is composed of three interconnected rings of atoms. TCAs work similarly to reuptake inhibitors in that they block the absorption of serotonin and norepinephrine into nerve cells, as well as another neurotransmitter known as acetylcholine (which helps regulate the movement of skeletal muscles). Ludiomil (maprotiline) belongs to the same class of the drug but is more appropriately described as a tetracyclic antidepressant (TeCA) due to its fourth atomic ring. Common symptoms include constipation, dry mouth, blurry vision, drowsiness, dizziness, and weight gain. In some cases, irregular heartbeats, low blood pressure, and seizures can also occur. In addition to their use in depression, tricyclic antidepressants can help treat chronic pain. They were also once commonly used in children with attention deficit hyperactivity (ADHD) but have since been replaced with more effective drug agents with fewer side effects. One of the first classes of antidepressants developed were monoamine oxidase inhibitors (MAOIs). This antidepressant class, first discovered in the 1950s, inhibits the action of an enzyme called monoamine oxidase, whose role it is to break down monoamines. By blocking this effect, more neurotransmitters are available for use in mood regulation. MAOIs are less commonly used due to potentially severe reactions with foods high in tyramine. If taken inappropriately, MAOIs can cause tyramine levels to rise, triggering critical increases in blood pressure. To avoid this, MAOI treatment usually involves dietary restrictions. Other side effects include nausea, dizziness, drowsiness, restlessness, and insomnia. Despite the risks, MAOIs have proven useful in treating agoraphobia, social phobia, bulimia, PTSD, borderline personality disorder, and bipolar depression. Even so, its use is usually reserved for when other antidepressant options have failed. There are also other fairly new antidepressants that do not fit into any of the above-listed categories. Broadly described as atypical antidepressants, they affect serotonin, norepinephrine, and dopamine levels in unique ways. Wellbutrin (bupropion), classified as a dopamine reuptake inhibitor, is used to treat depression and seasonal affective disorder as well as a smoking cessation aid. Remeron (mirtazapine) is a noradrenergic antagonist used for major depression, that blocks receptors of the stress hormone epinephrine (adrenaline) on the brain. Oleptro (trazodone) and Brintellix (vortioxetine) are serotonin antagonist and reuptake inhibitors (SARIs) used for major depression the both inhibit serotonin reuptake and block adrenergic receptors. Symbax combines the SSRI fluoxetine with the antipsychotic drug fluoxetine to treat bipolar depression or treatment-resistant depression. Side effects can vary by drug type but may include dizziness, dry mouth, insomnia, nausea, vomiting, constipation, blurry vision, weight gain, and sexual dysfunction. There are several factors that go into choosing the right antidepressant. Chief among them is tolerability. Since many antidepressants are equally effective in treating depression, a greater emphasis is placed on prescribing the drugs with the fewest short- and long-term side effects. This is especially true with nausea and weight gain, both of which can affect a person's quality of life and lead to the premature discontinuation of treatment. Antidepressants should never be used on their own to treat major depression but rather in conjunction with psychotherapy, self-help strategies, social support, and the treatment of co-existing conditions (such as chronic pain, anxiety, bipolar disorder, and personality disorders). Antidepressants are sometimes used in combination with other drugs to treat a variety of conditions. In some cases, the combined use of drugs that both exert serotonergic action can lead to serotonin syndrome. This is the toxic accumulation of serotonin that can trigger a cascade of potentially dangerous physical and psychiatric symptoms. To avoid this, always advise your doctor about any and all drugs you are taking, including prescription drugs, over-the-counter medication, nutritional supplements, or herbal remedies. Antidepressants should only be used as prescribed and may take up to eight weeks before the benefits are fully felt. It is important never to stop, interrupt, decrease, or increases doses without first speaking with your doctor. Stopping abruptly can lead to disruptive and often debilitating withdrawal symptoms, including nausea, vomiting, tremors, nightmares, dizziness, depression, and electrical shocks sensations. This can be avoided by gradually tapering the dose, preferably under the direction of a doctor. Antidepressants should be used with extreme caution in children, teens, and younger adults. In 2007, the FDA issued a black box warning about the increased risk of suicidal thoughts and action in people under 24 on antidepressants of any type. Antidepressants should only be used in children, teens, and younger adults when absolutely needed and only after weighing the potential benefits of treatment against the potential risks. Now Real Is the Risk of Suicide With Antidepressants? Fasipe, O. Neuropharmacological classification of antidepressant agents based on their mechanisms of action. Arc Med Heal Sci. 2018:6(1):81-94. DOI: 10.4103/amhs.amhs_7_18. Hillhouse, T. and Porter, J. A brief history of the development of antidepressant drugs: From monoamines to glutamate. Exp Clin Psychopharmacol. 2015;23(1):1-21. DOI: 10.1037/a0038550. Ramachandraih, C.; Subramanyam, N.; Bar, K. et al. Antidepressants: From MAOIs to SSRIs and more. Ind J Psychiatry. 2011;53(2):180-2. DOI: 10.4103/0019-5545.82567.